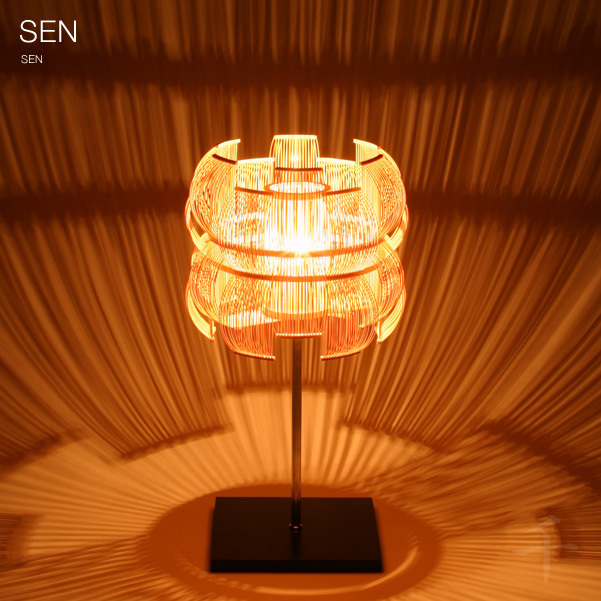 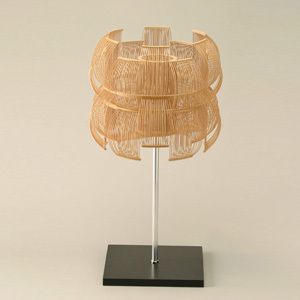 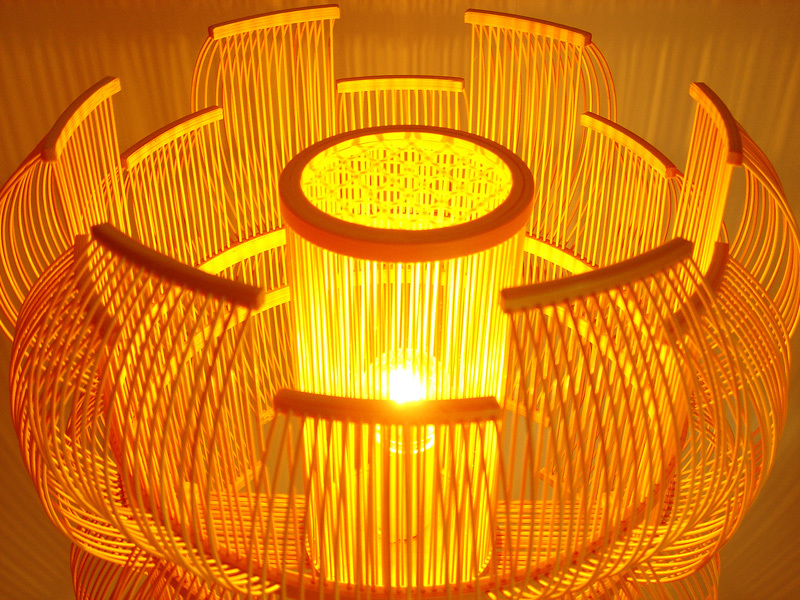 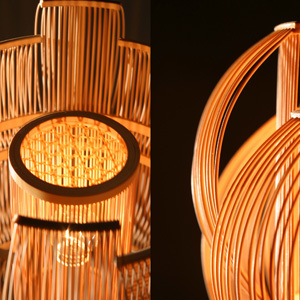 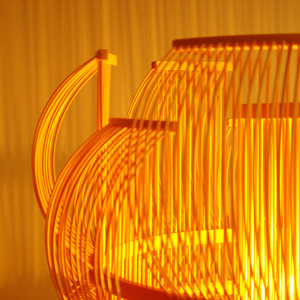 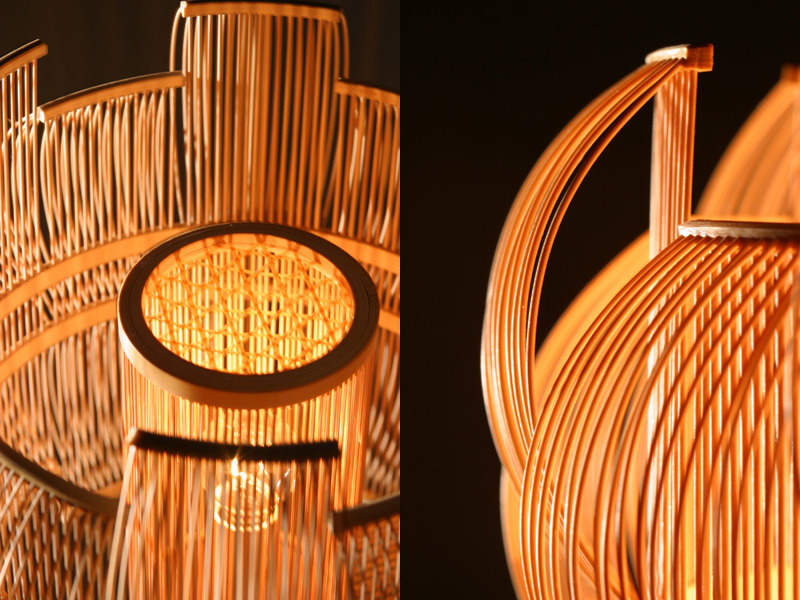 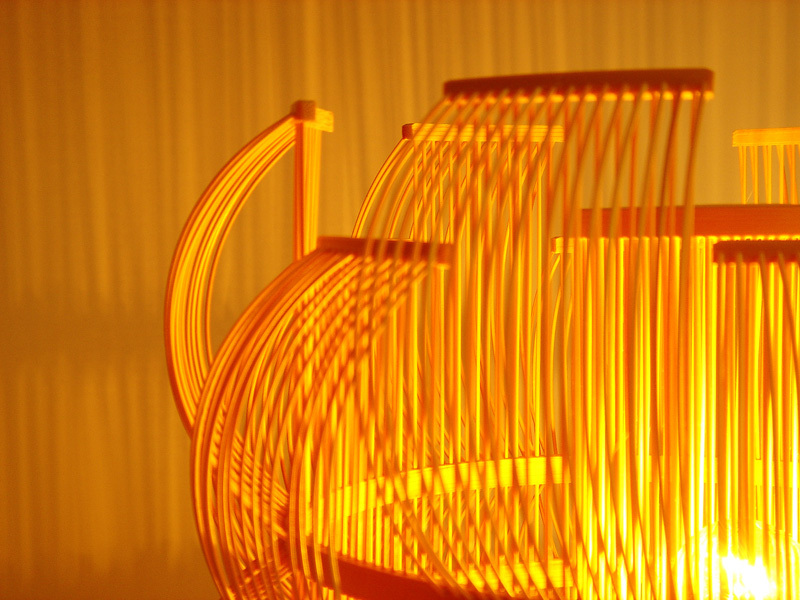 The Sen lamp is created using thin bamboo strips (Sensuji-zaiku). 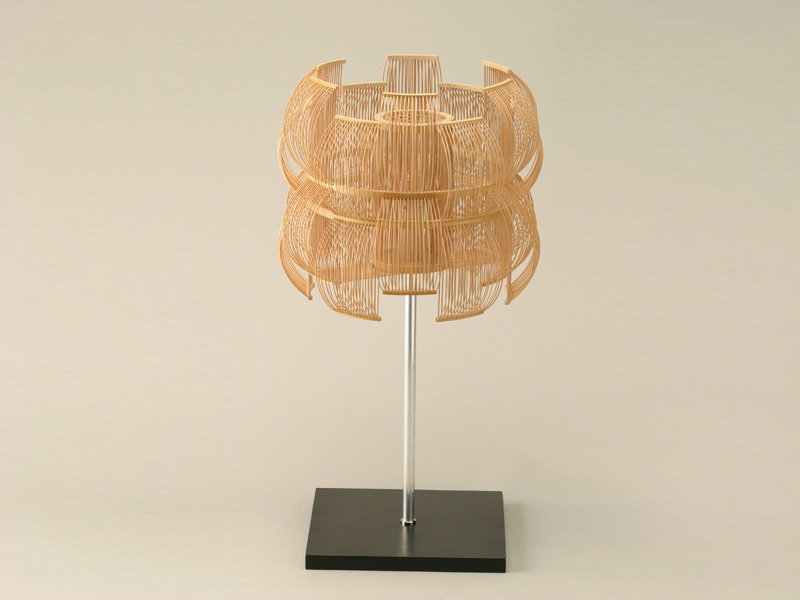 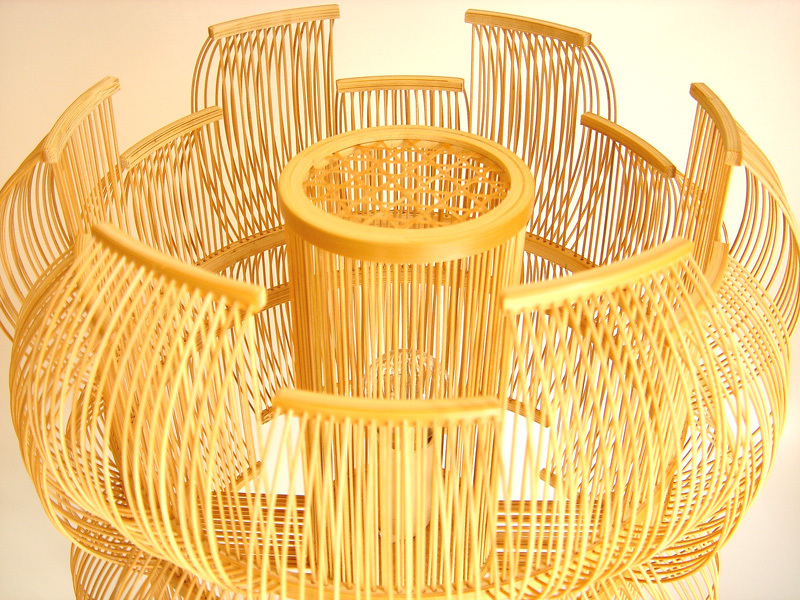 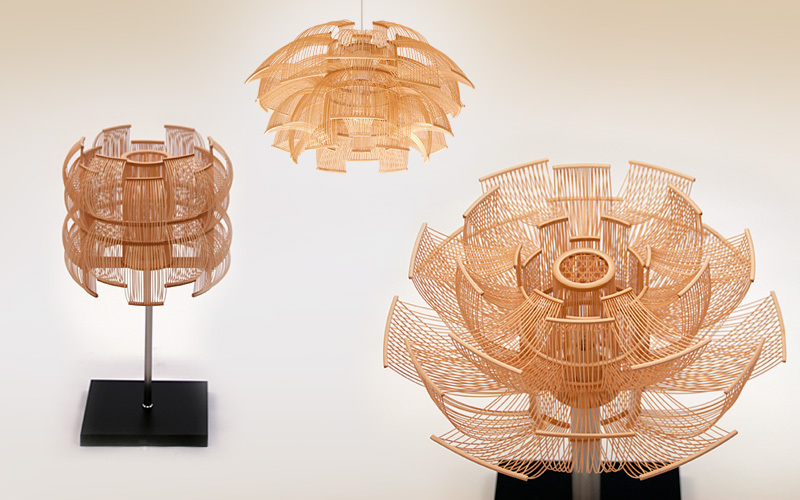 Hundreds of flexible bamboo strips are shaped and fashioned into a loop surrounding the light in the center. 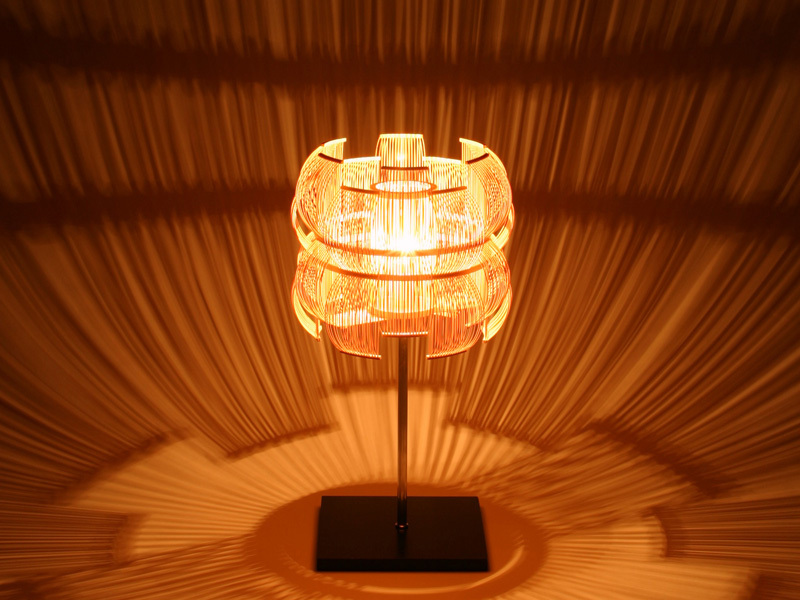 The indirect light cast by the Sen lamp will provide an ambiance similar to the ambiance created by the traditional Japanese light (Andon). 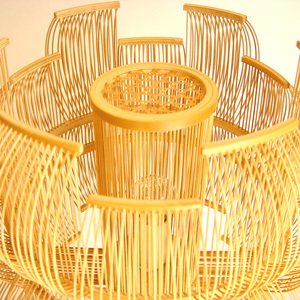 When used in a well-ventilated, dry room, it will rotate creating a unique aura (Wabi-Sabi) with the colors of bamboo. 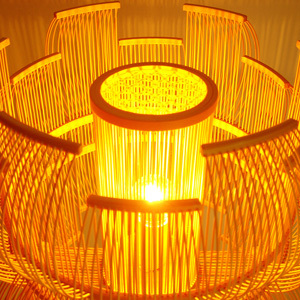 H18.1" x W10.0" x D10.0"